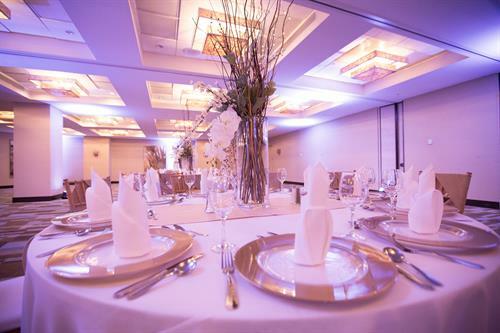 AT A GLANCE You'll feel right at home at GALLERYone- A DoubleTree Suites by Hilton Hotel in Fort Lauderdale, Florida. Enjoy views of the ocean or downtown skyline from your balcony. All two-room suites feature a fully equipped kitchen, separate living room with a queen-sized sofa bed, and spacious dining area. GALLERYone suites offer all the conveniences of home with nearly twice the space of standard guest rooms in Fort Lauderdale. Directly across from the Intracoastal Waterway and only a five-minute walk from the sandy beaches of the Atlantic Ocean, our hotel provides comfort and flexibility. 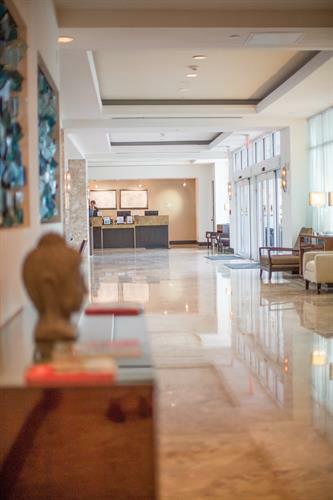 Enjoy art exhibits throughout the lobby, the reason for our hotel name. Walk to shopping and dining at the Galleria Mall, boasting over 125 stores including Neiman Marcus, Macy's, and the Apple Store. Board the water taxi at our dock and take the scenic route to Las Olas Boulevard, home to chic boutiques and some of the area's best restaurants. 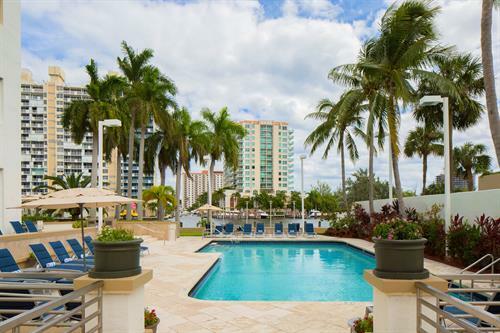 Unwind at our waterfront outdoor pool under Florida sunshine while sipping your favorite cool beverage from the Vue Bar. Watch the yachts glide past on the Intracoastal Waterway. 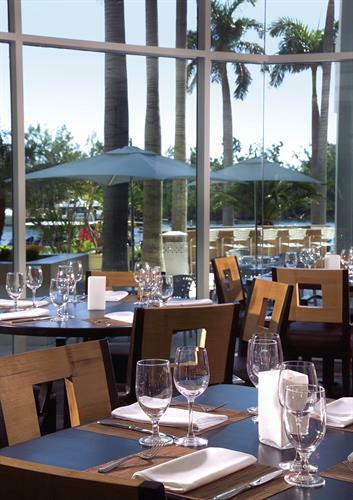 Order fresh contemporary cuisine at the Vue on the Water restaurant. Keep active in our fitness center.